It’s A Happy Day! (Paragon PR 33068) 1978? 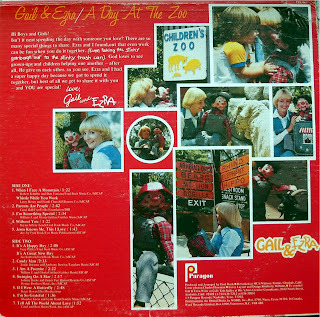 More offbeat gospel ventriloquist lunacy featuring Gail Wenos (the human) and Ezra (the dummy). The Disneyland-bought Ezra is one of the better looking dummies I’ve seen with his disheveled hair, large round red nose and big wide tongue (which persistently hangs out). As far as his voice goes we’re talking massively abrasive nasal annoyance. Lots of happy nerve-fraying Jesus ditties sung off-key, like ‘Jesus Knows Me, This I Love’, ‘It’s A Happy Day!’, ‘If I Were A Butterfly’, ‘If You’re Saved And You Know It’ and an insane cover of ‘The Candy Man’ that I’m sure has Sammy Davis Jr. doing flip-flops in his grave. Plenty of classic spoken routines as well, touching on subjects like taking the stinky garbage out to the stinky trash can. My wife has kindly requested that I never play these albums in her presence again. Nashville label that I believe is related to NewPax. 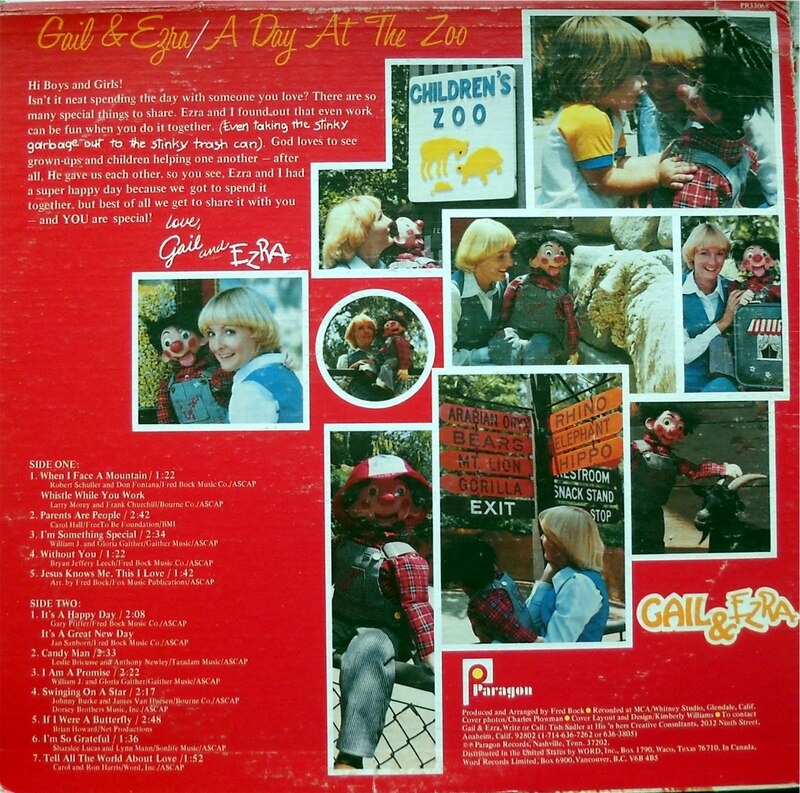 Check out Ezra drinking that Icee on the cover of It’s A Happy Day! (The Archivist by Ken Scott, 4th Edition). I changed the link to the correct files. Hi, Thank you, Got it.